All TuneMobie Windows products support latest Windows 10. Apple Music Converter and M4V Converter Plus fully support latest iTunes 12.9.4.104. Spotify Music Converter supports both official Spotify and Windows Store version of Spotify. Convert Apple Music, audiobooks to MP3, M4A with ID tags retained. Download Spotify music as MP3/M4A with free or paid account. 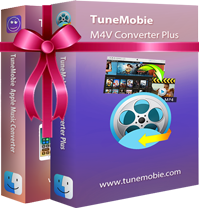 Convert iTunes M4V to MP4 with all subtitles & audio tracks retained. Apple Music Converter & Spotify Music Converter support latest macOS Mojave (10.14). Apple Music Converter and M4V Converter Plus support latest iTunes 12.9.4.102. M4V Converter Plus supports up to macOS Sierra (10.12.6), it doesn't support macOS High Sierra (10.13) or Mojave (10.14). Best Apple Music & audiobook to MP3/M4A converter on Mac. Convert Spotify music to MP3/M4A with free or paid account on Mac. Losslessly convert iTunes movies, TV shows & MV to MP4 on Mac. Normally bundles on TuneMobie includes two products. You can get the bundle to enjoy more with less price. Check what bundle includes. Get Apple Music Converter for Mac & M4V Converter Plus for Mac. 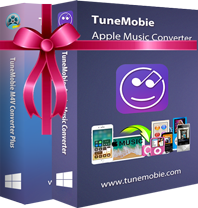 Include Apple Music Converter & M4V Converter Plus. Pay less for both. Apple Music VS Spotify, Which Is Better?